The trouble is…well, it’s like this barrel of apples. That’s the way it is with strangers. Cubs have to be careful because of a few bad apples. “Well, it certainly is strange looking,” said Mama. 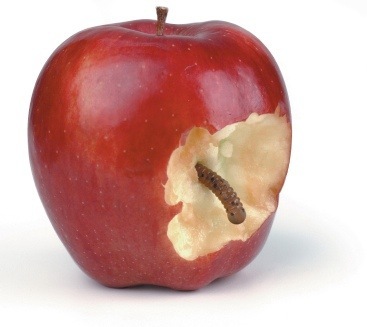 from the outside which are the bad apples.” She cut it in half. Hot days at the pool and beach. I love summer! Days of not rushing to this activity and the next. Summer is also a time that you should be having “safety talks” with your kids. These talks should begin at an early age, changing your language according to their developmental level. 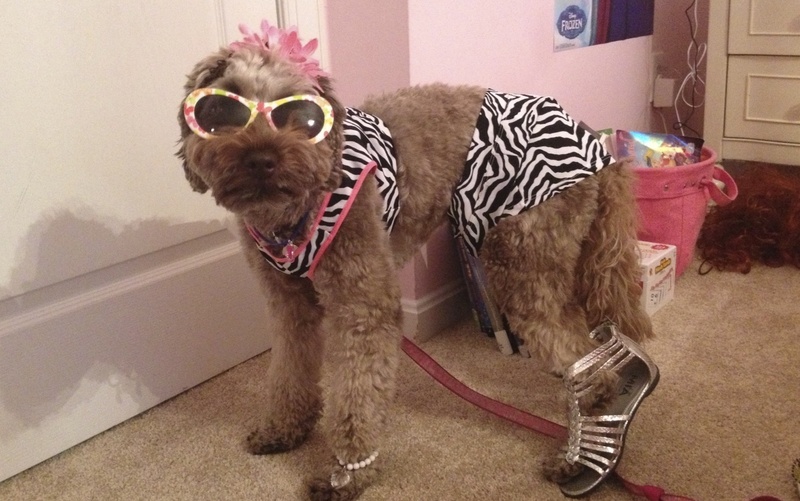 Belle, our three-year-old Labradoodle, is ready for the hot weather! 2. Discuss WHO they can tell if a separation would occur. 3. Teach your children your cell phone number. If you have a younger child, write the number on a small sticker label. Place the sticker on the child’s shirt. 6. Go bananas! Teach your child to “go crazy” if a person would ever try to take him/her. “Going bananas” means to kick, scream, bite, fall to the ground. 7. Swim with a friend/adult. As a child, I loved to swim. I even tried to convince my younger sister that I was a mermaid! Our family spent numerous days at my aunt’s pool. Do you remember when pools had a sudden drop to the deep end? I recall one afternoon at my aunt’s house. Family members were gathered around talking. My mom was right there watching me. I slipped down the steep slant into the deeper water. I panicked, trying to make it over to the shallow side. My aunt noticed that I wasn’t playing in the water anymore. When a child is drowning, it might look like the child is jumping in the water. To everyone watching, it looked like I was jumping and splashing around. My Aunt Ruthie saved me. 8. Always wear a helmet while riding a bike/scooter. 9. Discuss body safety rules. Remember that abusers often know their victims!